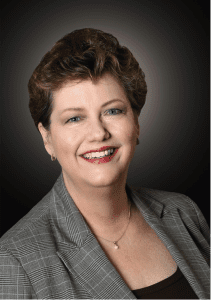 Ms. Schuster currently serves as Vice President and Controller of Silverstone Healthcare Company, LLC (SHC) and its affiliate, Silverstone Senior Living, LLC (Silverstone). Prior to joining Silverstone, Ms. Schuster served as CFO of Animato, an IT consulting firm, and a member of the executive team. Prior to joining Animato, Ms. Schuster served as Business Operations Manager at Hewlett Packard. Prior to joining HP, Ms. Schuster held several positions at Electronic Data Systems (EDS) including Business Operations Manager of the EDS Bank One account and Manager of Corporate Financial Planning and Analysis. Prior to EDS, Ms. Schuster was the Controller for the MTech ATM division (MPact). Ms. Schuster holds a Bachelor’s degree from Stephen F. Austin University and is a CPA and Chartered Global Management Accountant (CGMA).